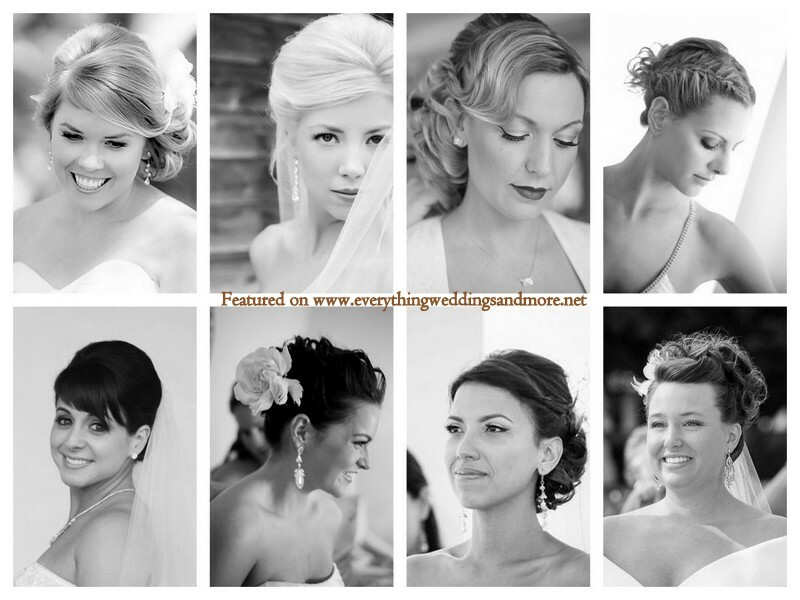 Have you noticed how lacking Google search results seem to be when you type in Bridal hairstyles. Okay let me rephrase “how lacking of real brides.” For some reason all that comes up in my searches are Hollywood stars or Photo-shoots which I believe for a Bridetobe can be harder to imagine on her on the day of. There is something much more relatable when you actually see a photo of a real bride. Maybe it is the fact you see her in their wedding dress, or with her bridesmaids being goofy or her husband, loving the moments of the day, something about it makes it more believable. That is why I have spent many hours gathering these photos for you; yes you the Bridetobe reading this now. Clove & Kin Bride: Juliana // Katie Rivers Photo Bride: Alisha // Ricky Stern Photography Bride: Megan // Michelle Lindsay Photography Bride: Emily // Cean One Photography Bride: Vivian // Dorie Lynn Photography Bride: Amber // Ricky Stern Photography Bride: Michelle // Ricky Stern Photography Bride: Elyse. Michelle Warren Photo Bride: Marbella // Claire Durkin Photo Bride: Lorraine // Maximilian B Nucci Photography Bride: Jessica // Cean One Photography Bride: Haidy // Cean One Photography Bride: Tia // Cean One Photography Bride: Kira // Ricky Stern Photography Bride: Aleisha // Chloe Moore Photography Bride: Siannah. Thanks to these lovely Brides and amazing Photographers!